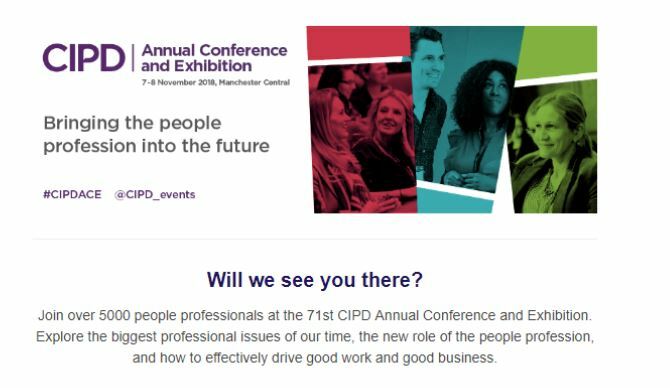 Thousands of HR professionals from around the world will descend upon Manchester next month for the 71st annual CIPD Conference and Exhibition. And LANDED will be among them! Every year it brings together thousands of professionals to find out and discuss the latest strategies and developments in the world of work. The exhibition, visited by more than 4000 attendees every year, features hundreds of HR and L&D providers. Every year the conference and exhibition gives people the opportunity to explore the biggest professional issues of our time, the new role of the people profession and how to effectively drive excellent work and good business. With 38 expert-led conference sessions, 5 dedicated content streams, 8 session formats to pick and choose, we cannot wait to be inspired at the CIPD Conference. One of the many interesting topics to be covered at this year’s conference and expo is the growing focus on how we can reduce unconscious (and conscious) bias in the recruitment process to hire more diverse teams. Diversity is being linked more and more to success and growth. Is it time for you to examine your hiring process to ensure any unconscious bias is removed. “The values of diversity and inclusion are not simply a moral imperative but are essential in establishing diverse, innovative and successful teams that can deliver tangible business outcomes. “Organisations and individuals need to understand where bias can arise in recruitment and working practices and how to make changes to reduce that,” organisers of the event said. Since our inception, LANDED has addressed the need to remove unconscious bias from the recruitment process. Through simple interview questionnaires, online skills testing and monitoring stats our clients can identify quickly areas within their organisation that could benefit more diversity and introduce hiring models that focus on talent first and foremost. Landed have witnessed first-hand the changes in how we reach and interact with talent over the last 20 years. To say the process has changed is an understatement. Why is Diversity Important when Recruiting? Companies now see the importance to cast the widest net possible for new talent. The biggest hurdle faced by businesses attempting to recruit from a diverse pool of talent is, it seems, inherent and often unconscious bias. Lack of diversity in the workplace is something that needs to be addressed from a business as well as an ethical standpoint. It is proven that innovation, performance and profitability are greater and more common among the diverse workforce. Is your business stagnating due to lack of diversity? At the Conference and within the exhibition hall there is certain to be lots of talk about diversity, how can you remove unconscious bias, can technology help or hinder? Diversity in the workplace is an area we are passionate about, visit us at stand C132 a learn how our simple tools can easily be integrated into your recruitment process to ensure you hire more diverse teams in the future. Rachel Botsman, Best-selling author of ‘Who Can You Trust?’ and ‘What’s Mine is Yours,’ Lecturer and Researcher at the University of Oxford delivering the Opening Keynote on ‘The New Era of Trust and Why it is Key for Success’. Are you planning on attending the event? If so, come and visit us at our stand in the exhibition hall, C132. We’re close to the coffee area, so why not stop by for a cuppa and a quick chat about LANDED. At LANDED, we are on a mission to ‘Make Hiring Easy’, and I firmly believe that starts with having the right process in place. We are so excited to share our latest tools with the HR community, as demand grows for our solutions and more people are tapping into automated recruiting techniques we are keen to hear your feedback. One dashboard managing your recruitment process from advert to onboarding. With a combination of automation and good communication skills, LANDED offers in-house recruiters a complete toolbox to engage more efficiently and effectively to ultimately hire better people and build better teams. RESERVE YOUR DEMO OF LANDED ATS and enter our draw to win.